Guide to energy management/by Barney L. Capehart, Wayne C. Turner, William J. Kennedy--5th ed. p. cm. Includes bibliographical references and index. ISBN 0-88173-477-2 (print) -- ISBN 0-88173-478-0 (Electronic) 1. Energy conservation--Handbooks, manuals, etc. 2. 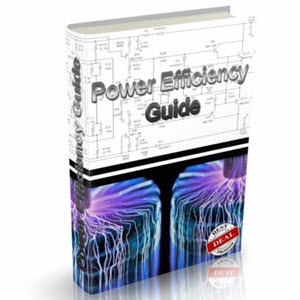 Energy consumption--Handbooks, manuals, etc. I. Turner, Wayne C., 1942- II. Kennedy, William J., 1938- III. Title. ©2006 by The Fairmont Press. All rights reserved. No part of this publication may be reproduced or transmitted in any form or by any means, electronic or mechanical, including photocopy, recording, or any information storage and retrieval system, without permission in writing from the publisher. Distributed by Taylor & Francis Ltd.